As the Council on Undergraduate Research explains, “Participation in undergraduate research with a faculty mentor is also acknowledged as a contributor to student retention in undergraduate studies and as a valuable mechanism to direct students toward specific career paths. The changing demographics of our students, the expanding scope of institutions providing undergraduate education, and the enhanced appreciation for active learning strategies have further propelled undergraduate research to national prominence an as effective educational strategy.” (Kerry K. Karukstit & Timonth E. Elgren, editors, Forward in Developing & Sustaining a Research-Supportive Curriculum, 2007). Students who participate in collaborative research with faculty make significant gains in their ability to think analytically and logically. They can more skillfully communicate their own ideas, and perhaps most importantly, they learn how to learn on their own. Conducting original research and creating their own conclusions helps undergraduates hone research skills, define their academic interests and objectives, and become part of the larger university research community. Studies, such as one done by John Ishiyama (2002), confirm these findings for the social sciences and the humanities. Students who participate in an undergraduate research experience are better prepared for graduate and professional school. They have a better understanding of the demands of graduate training in their fields, and benefit from exposure to specific research tools, methods, and techniques. Most importantly, undergraduate researchers have more highly developed critical thinking skills. For students not planning postgraduate work, the benefits of undergraduate research are also clear, as critical thinking, analytical abilities, and problem-solving skills are all enhanced by undergraduate research. Conducting their own research allows undergraduates to expand their personal knowledge of a specific topic and presenting their results at public conferences and symposia fosters respect for mastery of a subject, concern for clear and logical organization, and satisfaction of sharing one’s work. Undergraduate Research opens doors to future careers, life-long learning, and helps cultivate a commitment to excellence. While deepening a student’s disciplinary education, research can also integrate disciplines from across the spectrum by bringing together methods and materials from diverse fields like music and history or literature and political science. Check out these students that were funded in FY17! 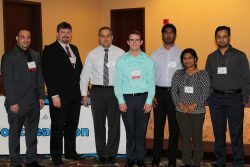 David Moore presented at the Institute of Electrical and Electronics Engineers South East Conference in Charlotte, NC in March of 2017. 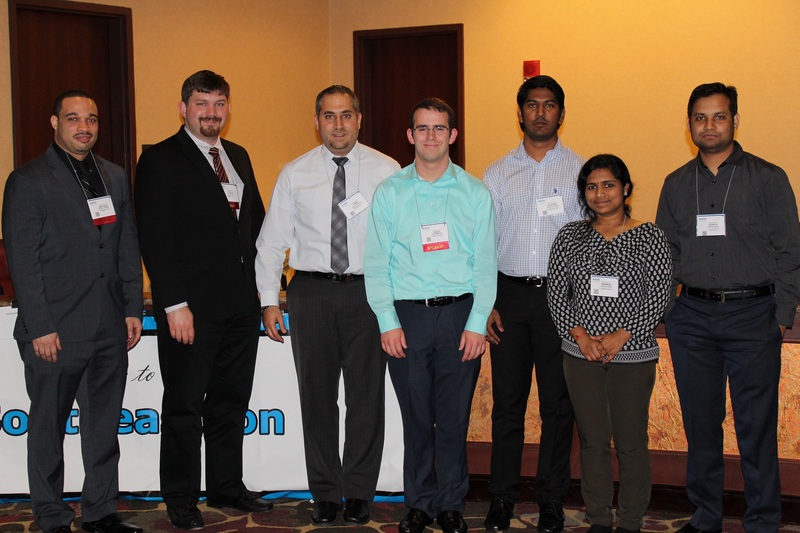 David enjoyed his experience at IEEE immensely; this was his first professional conference. He appreciated the time he spent with his professors and other professionals in a more relaxed and social environment. David presented with a fellow student, Collin Daly, on the first day of this conference. His favorite session to attend during the conference was given by Texas Instruments, Inc; the subject matter was “Internet of Things.” The presenters handed out TY launchpads for the audience to explore and learn to use during the presentation. David hopes to give more presentations in the future to a larger audience. 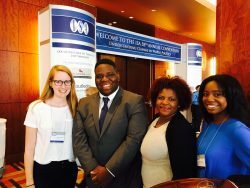 In April, 2017 Lalar Hannas attended the national Conference on Undergraduate Research that was held in Memphis Tennessee. 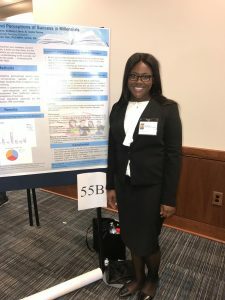 The research that she presented was titled “Effective Learning Styles and Perceptions of Success in Millennials.” Lalar studied the body of research that states millennials learn differently than baby boomers. She took this information and created a survey to measure preferred learning strategies. Lalar found that the majority of millennials are kinesthetic learners. 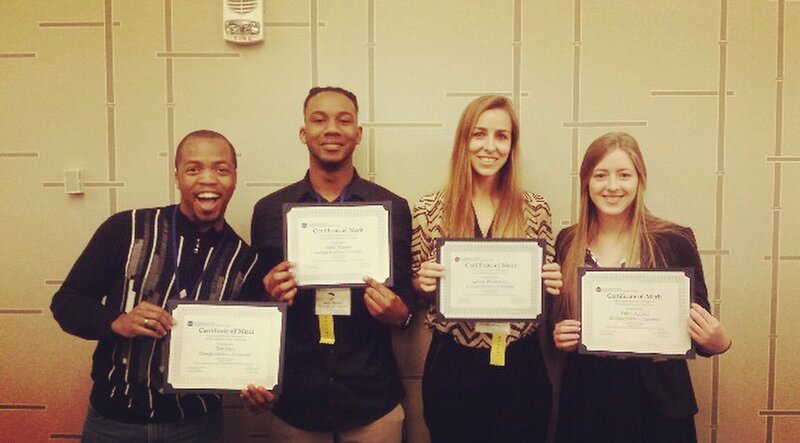 At the conference, Lalar was excited to see how many students and professors were interested in her research. Traveling to this conference to present her research has inspired Lalar to continue on with her research topic and attempt to explore new variables! The Southern States Communication Association (SSCA) holds their annual Theodore Clevenger Undergraduate Honors Conference (UHC) every April. This past year Ashley and Emily had the pleasure of attending in Greenville, SC. Emily presented a paper on love portrayed in romantic movies. Emily loved that atmosphere of the conference because the whole point of the conference is to help students become better presenters, researchers, and writes in the field of communication studies. Ashley presented a rhetorical analysis of Donald Trump’s presidential campaign tweets – coinciding with the SSCA’s theme for the 2017 conference. Ashley and Emily both had a great time exploring Greenville and viewing other presentations. They both really enjoyed presenting their research to a room full of people that also enjoyed the discipline and listening to their various research topics. Both women agree that this past year in Greenville was one they will always cherish! 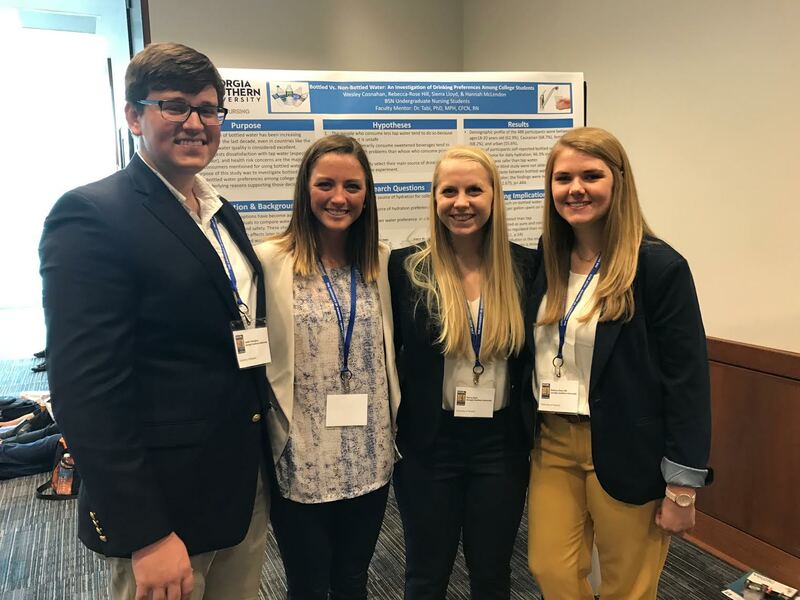 In April 2017, Rebecca-Rose Hill traveled to Memphis, Tennessee to present at the National Conference on Undergraduate Research. While in Memphis, Rebecca-Rose had an awesome time exploring the city. She also loved getting a tour of the University of Memphis, where the conference was hosted. Rebecca-Rose said this opened up the potential of attending graduate school for her at UM. Rebecca-Rose presented alongside a group of students and said this opportunity was so important because they all want to publish research in the future. The Undergraduate Research fund made this trip possible for Rebecca-Rose and she is thrilled she was able to present at her first professional conference! 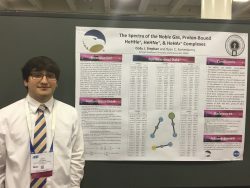 Cody Stephan got the chance of a lifetime to present at the 253rd ACS National Meeting in San Francisco in April 2017. Cody loved being surrounded by his fellow peers and professionals because they all shared the same interests. 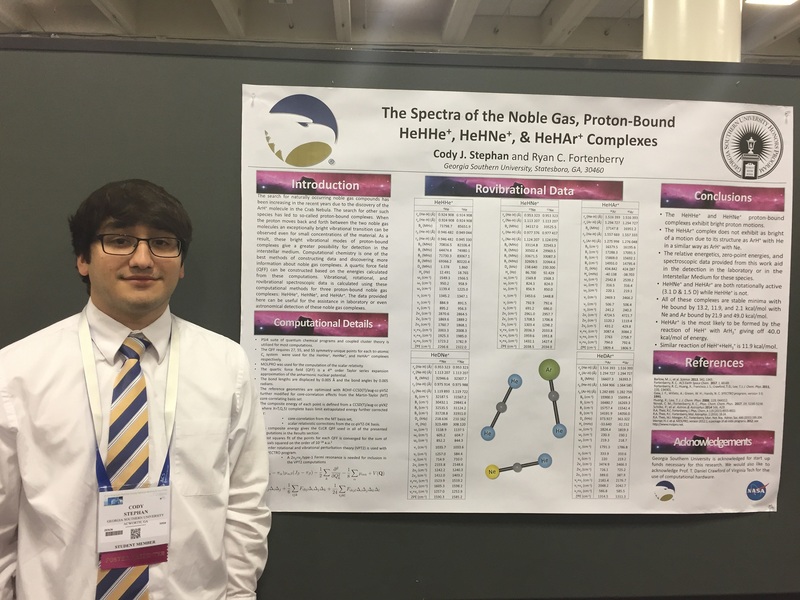 Cody presented data on the spectroscopic data of three different noble gas proton bound complexes. This data was collected by using computational quantum mechanical methods and provides insight in the possibility of the molecules detection in the interstellar medium or in a lab setting. Cody really enjoy exploring the city of San Francisco and attending the many conference events. While enjoyed all the chemistry sessions, he also really appreciated all of the sessions about graduate school and all the various paths he could take in the chemical field. Cody is so grateful that he got to attend this information packed conference! Tony Hudson and Carolynn Nixon attended the 58th Annual International Studies Association Convention in Baltimore, Maryland thanks to funding for undergraduate research. Carolynn presented her undergraduate thesis titled “Helping Ourselves First: Conflict Management Strategies of Regional IOs.” She was on a panel with three professors and a graduate student. Although she was nervous, she did a wonderful job and is happy she got the chance to pursue this wonderful opportunity. Tony Hudson also presented his research on domestic terrorism in the United States. He appreciated that he received such great feedback from the panel he presented on and from other scholars at the conference. Overall, this was a wonderful learning experience for both Georgia Southern students that they will both always remember! 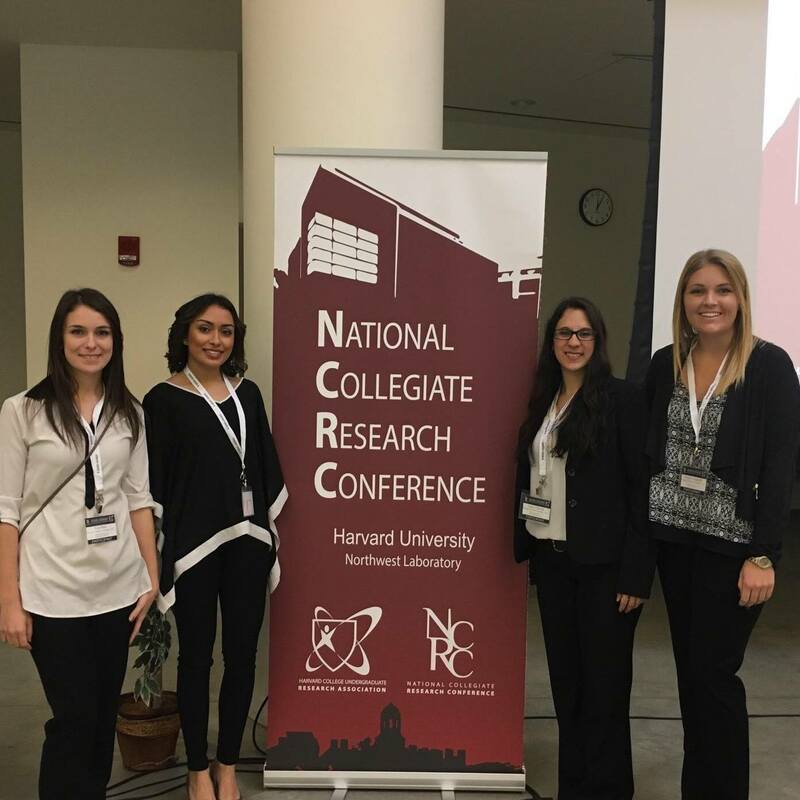 Chelsea Rodriguez got the opportunity to travel to Harvard University in Cambridge, Massachusetts for the National Collegiate Research Conference in January 2017. Chelsea spoke on a panel about ethics in research, specifically, ethical issues raised when people are involved as subjects in a study. She also went to several incredible key note sessions and panels that were incredibly informational. She also got the chance to visit Harvard Medical School and listen to Dr. Li’s research on maximal running shoes. On the final day of the conference, Chelsea presented her research in a poster session. Chelsea loved getting to explore the city and visiting “Little Italy” in Boston.